Headspace analyzers are imperative for accurate shelf-life testing of finished packages, including CAP/MAP (Controlled Atmosphere Packaging/Modified Atmosphere Packaging) and vacuum-packed products. Sample testing is necessary, as the atmosphere in a package cannot be strictly and indefinitely controlled, only modified. The PAC CHECK Systems are used in production, quality control and R&D applications. 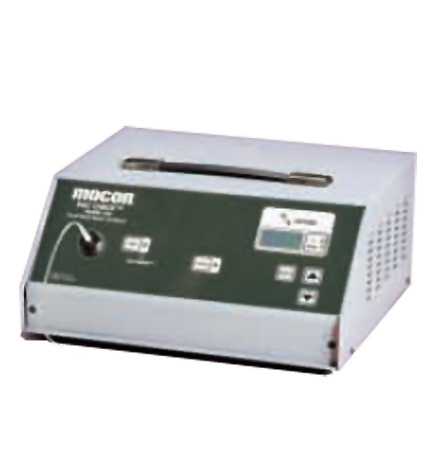 The PAC CHECK 450 measures O2 concentration with small sample amounts, manually or automatically. The same analyzer can be used for both flexible and rigid packaging. This instrument is certified traceable to the National Institute of Standards and Technology (NIST) as an added feature for the quality conscious producer. Flexible & Rigid Package Tastings.